Hao stars professionals committed to research and development, design, manufacturing dairy machinery and equipment, food equipment, food machinery and chemical pharmaceutical machinery ancillary equipment: The main products SSC-W-priming powder homogeneous dispersion emulsion Mixer (suction powder mixing pump, auto - Suction powder dispersed emulsion homogeneous mixer) series, all kinds of colloid mill, wet mill, plastic mill, refiner, high-shear emulsifying machine, homogenizer, homogeneous pumps, mixers, colloid pumps, slurry feed pump, rotor pump, pumps, pump thick, high-shear emulsifying machine (high-shear milk both machines, high-shear liquid mixers, high shear homogenizer, emulsifying homogeneous pump), Colloid Mill Machine (colloid mill multi-colloidal, Vertical Colloid Mill, Colloid Mill split, horizontal colloid mill, fine 'as a whole stainless steel' Colloid Mill, Colloid Mill closed, all closed Colloid Mill, Colloid Mill pipeline, Titanium Colloid Mill, Colloid Mill pharmaceutical, chemical and colloidal, emulsified colloidal, asphalt Colloid Mill, Colloid Mill chicken, ceramic Colloid Mill, large Colloid Mill, Colloid Mill Lab, small Colloid Mill, grinding machine, wet grinder, ultrafine particles refining machines, ultra grinder, titanium dioxide, grinding machine, fine grinding mill glaze) high-pressure homogenization machine (ultra-high pressure homogenization, homogenization pump, laboratory dedicated high-pressure homogenization machine), horizontal sterilization pot, stainless steel Beverage Pumps / (_ milk beverage pump centrifugal pump _ Health and pump) gouache Mixer (mixer split watercolor, gouache vertical mixing pump, solid-liquid high-speed emulsifying mixer, liquid mixer, gouache mixer, mix liquid materials machine, liquid material mixing pump, suction-type mixed-dispersed emulsion powder machine, powder mixing dispersed emulsion suction pump) thick stainless steel pump, rotor pump (pump cam, 10000 with pumps, shoes pumps, clover pump, pump colloid colloid pumps), single-pole screw pump (thick slurry screw), filtering equipment (sand core filter, sand bar filters, activated carbon filters, microporous membrane drum filter, double filter, diatomaceous earth filtration devices), washing tank device (Automatic washing tank, wash tank ball, cleaning ball, spherical tank-cleaning devices), sanitary valves and pipe fittings. Hao stars powder emulsified homogeneous Mixer (mixing pump-priming powder) SSC Series also known as suction-type homogeneous powder dispersion mixer or smoke powder homogeneous dispersion mixing pump (referred to as suction powder mixer, powder mixing pump-priming ) of the product classifications are: SSC-w horizontal series, SSC-L vertical series, SS-F split series, is to absorb foreign advanced technology developed by products, superior quality, performance excellence, have long enjoyed high reputation, reasonable price has won domestic and overseas clients. Hao Star has a utility model, appearance and other Chinese inventions patented a number of new technologies, is a national initiative, utility models, novel appearance, environmental protection and energy saving, small size, high efficiency, quick delivery and reasonable price, etc., to make your system more reliable, more quiet, less power consumption. 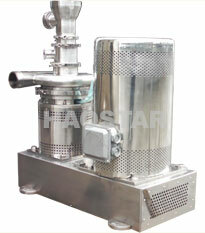 Hao stars powder emulsified homogeneous Mixer (mixing pump-priming powder) SSC series is to adopt a completely different mechanical principles of automatic priming powder to shear dispersion, mixing, emulsification, homogenization and other multi-functional liquid on the powder synchronization treatment of advanced mechanism. The sets of equipment, system integration of all the necessary processing steps, all integrated in one machine all the processing is instantaneous while completing a thorough solution to the traditional equipment problems difficult to solve some of the technology. 10. 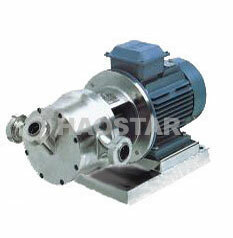 Note: Hao Stars-priming powder mixer (mixing pump-priming powder) SSC-w horizontal series, SSC-L vertical series, SS-F Split Series (split for the introduction of V-belt) has a short-term feeding capacity , non-self-priming function, to use high feed: materials of high viscosity or solid content resulted in the normal feed and transportation, it should be expected to use pressure or transfer pump, transmission pump pressure and flow and be selected to match models.